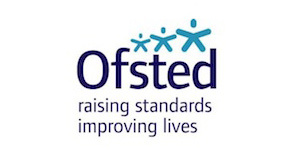 A new Ofsted report examining music teaching has found wide differences in the quality and quantity of music education in schools across England. One in five of the schools visited were judged inadequate for music. The report is based principally on evidence from 194 specialist music inspections and good practice visits in schools between 2008 and 2011, including curriculum lessons, additional instrumental and vocal tuition, and extra-curricular musical activities. They found that in too many music lessons there was insufficient emphasis placed on actually making music, and too much focus on talking or written exercises. The scarcity of good vocal work in secondary schools, where nearly half of those inspected were judged inadequate for singing, and the underuse of music technology across all levels were found to be significant barriers to pupils’ musical progress. For example, insufficient use was made of audio recording to assess and improve pupils’ work. To help schools and others interested in improving music teaching, Ofsted has produced six new films exemplifying good practice in a wide range of settings.